A seller has to be careful in order to avoid having their selling privileges suspended. 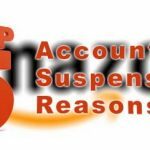 There are obvious ways that an Amazon seller can prevent the likelihood of suspension but there are also ways to appeal a suspension should one occur. In order to appeal an Amazon seller suspension, you must visit your seller central to find the reason for the suspension. Once the reason for the suspension of a sellers account is determined an appeal can be started. A good appeal must be professional, written with good grammar, and should also include positive information about sales made on Amazon. Never write an appeal while angry about the suspension. Winning the appeal might not work if you are positive but will definitely not work if you are angry or unprofessional. Many times a suspension is simply put into place by mistake due to certain trigger words that Amazon uses. This is automatic and is not much of a process to appeal. Of course being accusatory and negative will not get selling privileges back, so always consider that the suspension was made due to a mistake. By considering that the suspension was made by mistake, a seller can have a more positive appeal. Seek help from other sellers who have had their accounts suspended. There are many valuable websites dedicated to sellers helping others with the appeal process. Selling on Amazon is not a competition because there is such a wide array of customers. Keep this in mind when seeking help from other sellers. Be courteous and professional to ensure that you will be taken seriously. Negativity toward anyone that is helping or even offering constructive criticism will not help a seller get their privileges back. It is a good idea to save all communication to and from Amazon during an appeal. This not only protects the seller, but can also be used in the future if selling privileges are restored and somehow become suspended again. Saving emails, and documenting the names of those spoken to on the telephone is important. Of course an appeal does not always guarantee reinstatement of selling privileges. A seller should always have a back up plan in order to prevent disappointment. This back up plan should include other ways to sell items. While waiting on a decision, a lot of research about other ways to sell merchandise online should be conducted. One last bit of advice is to avoid bashing Amazon or any of their employees during or after a suspension. This is highly unprofessional and can wreak havoc on a sellers reputation. By being professional, courteous, straight forward, and truthful, a seller can keep the stress of the suspension a bit lower and make the process somewhat simpler in the long run. my amazon account was suspended. continuously providing them document can you help me to fix it. can pay you for that. I am interested to know if you ever resolved your issues with amazon. While we have not been suspended, amazon is likewise ruining my business, and I am in the middle of writing some posts on our experiences. You can liken them to a game of snakes and ladders, with the snakes dropping you through hidden trapdoors that you don’t find out about until it’s too late. Yes, I back in business since I wrote that post. The beat amazon suspension guide really made it really easy.